Pascal A/S, an OEM amplifier module provider for the global pro audio industry, has announced the buyout of its minority shareholder Camco, by its Danish founding team. The buyout has been executed through a joint holding company, which is now sole owner of the company. The buyout follows the acquisition of Camco by L-Group, the holding company for L-Acoustics. “The buyout of our minority shareholder allows us to continue as a fully independent OEM provider of amplifier solutions to the pro audio industry,” said Pascal CEO and co-owner Lars Fenger. “As far as we are aware, we are the only OEM amplifier module provider solely focusing on the pro audio market, fully autonomous of potentially conflicting house branded product. 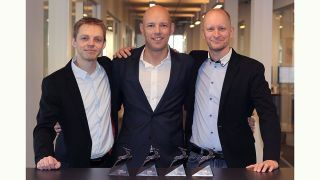 As testimony to Pascal’s rapid growth, the company has recently been awarded the Borsen Gazelle Award for the fourth year in a row, placing Pascal among the top Danish companies in terms of growth over a sustained period of seven years.